There are few things quite as disappointing as reading a highly-anticipated book and… finding that it doesn’t live up to your expectations. I really, truly wish I didn’t have to write this review—but honesty is the name of the game, and in that spirit, it’s time that I share my thoughts on B.A. Paris’ BRING ME BACK. Longtime readers of Crime by the Book will know much I loved Paris’ BEHIND CLOSED DOORS (I’m still recommending that book, and it’s a couple years old now! ), so I had high hopes for Paris’ Summer 2018 release. Unfortunately, BRING ME BACK lacks the tension and menace of BEHIND CLOSED DOORS - and, coupled with a totally improbable conclusion, it just falls flat, plain and simple. Readers looking for a breezy beach read in the psychological thriller vein will be better served by checking out Aimee Molloy’s THE PERFECT MOTHER, Michelle Sacks’ YOU WERE MADE FOR THIS, and Ruth Ware’s THE DEATH OF MRS. WESTAWAY. If you’re keen to check out BRING ME BACK for yourself, I totally understand! 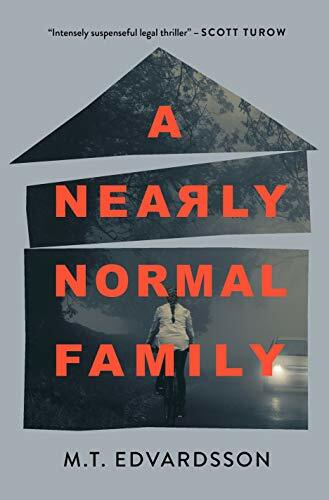 However, I would encourage you to pick up a copy from your local library before spending your hard-earned money on it; this book is unfortunately not up to par with the crop of strong psychological suspense novels releasing this spring and summer. Perhaps the greatest strength of Paris’ BEHIND CLOSED DOORS is its ability to blend easy-to-devour plotting with genuine menace; I couldn’t stop turning the pages of that book, even as I became increasingly horrified by the dark secrets held within its pages. 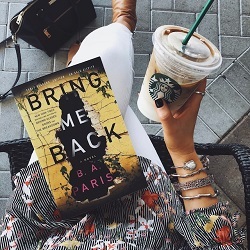 My hopes were high, then, for Paris to deliver another engaging yet sinister summer beach read—and you can imagine my frustration and disappointment when I discovered BRING ME BACK holds no such thrills in store for its readers. Perhaps the most glaring disappointment of this book for a crime fiction reader will be its utter lack of tension and suspense. At the core of this story is a mystery that, the more I read of it, the less I could figure out exactly why it was a mystery to begin with. Bear with me here while I explain. Yes, we are given the mystery of Layla’s disappearance… and we’re also quickly thrown into the mystery surrounding Layla’s* purported reappearance. (*For the purposes of this review, I’ll be referring to Layla by her name - even though the true identity of the person assuming Layla’s identity won’t be revealed until midway through the story.) But Layla doesn’t just come back - she is dropping little clues for Finn, clues that are meant to be menacing and chilling. This bizarre behavior on Layla's part is meant to be the story's crux, but I simply couldn't figure out what about it was meant to be alarming or tense. Perhaps it’s the lack of backstory development given to these characters - readers are thrust into the central mystery practically from page one - but these “menacing clues” were anything but for me. On the one hand, Paris did succeed in planting the question in my mind: why is Finn afraid of these clues? But on the other hand (and perhaps most importantly of all), I never felt Finn’s purported fear of these clues myself. There was a measure of detachment here that made Layla’s attempts at frightening her former boyfriend cheesy, and made Finn’s apparent desperation to figure out the heart of the mystery inauthentic. And then there are the clues themselves. I’m very open-minded when it comes to my crime books; as a reader, I’m really along for the ride, willing to see where the author will take me and willing to give them every chance to sweep me along in their story. Unfortunately, the plot device central to BRING ME BACK became tired for me, and it became tired fast. Layla’s “clues” for Finn primarily take the form of Russian nesting dolls which she leaves in various locations that she knows Finn will stumble upon; the significance of the Russian doll is a private link to Layla’s childhood that only Finn, or someone equally close to Layla, would know. Objectively speaking, I can see how this could be a potentially chilling plot device - after all, there are few things creepier than dolls in horror films! But like so much about this book, this plot device was over-wrought and over-used. I truly reached a point of pure frustration with the sheer number of times I read the word “Russian doll” within the book’s pages—and that’s not even a very eloquent or astute criticism to make, but just a fact of my reading experience. So many of the effects intended to build suspense in BRING ME BACK felt forced and overdone, but none more so than the story’s incessant reliance on the Russian dolls. When it comes to writing great crime fiction, it’s no surprise that the story’s finale - the conclusion that ties together all the threads of the book into one cohesive and cogent explanation - is crucial. BRING ME BACK must have one of the most frustrating and unsatisfying conclusions I’ve ever read. While this story had flaws and points of contention from its early pages, what I found most frustrating of all was to make it through the entirety of the book only to discover that the finale was simply preposterous. It’s impossible to discuss this in too much detail without spoiling things for you, the reader, but I’ll leave it at this: I truly cannot remember the last time I read a conclusion that expected readers to disregard logic and set aside common sense as wholly as does the conclusion to BRING ME BACK. If you are a reader who places importance on a crime book's ultimate solution, BRING ME BACK is very likely to frustrate you as much as it did me. I hope that each of you reading this will take this review with a grain of salt; as always, these are my views and my views alone. I had such high hopes for this book, but unfortunately found it dissatisfying and thoroughly frustrating. Perhaps one of the strangest pieces of my reading experience was just how quickly it took a turn for the worse; I actually was thoroughly enjoying the book’s first section, until Part Two arrived and totally derailed the reading experience for me. Given what a mixed reading experience I had with BRING ME BACK, I would encourage readers who are keen to check the book out to do so through their local library. However, as you will also know, when I read and review a book that doesn't work for me, I always like to consider what other kind of reader out there might enjoy that book better than I did. I’ll be honest - I’m struggling here, simply because I can imagine so many stronger options than BRING ME BACK, no matter what kind of book you are in the market for. I will say, though, that despite this book’s many points of frustration for me, it did maintain a nice breezy pacing throughout - which certainly could make it suited for a day at the pool. Readers who prefer very light suspense coupled with a story of interpersonal drama may also find BEHIND CLOSED DOORS more up their alley. As always, I’m very happy to answer any questions you may have - and I hope this review, however unpleasant it has been to write, will be of use to you in deciding where to allocate your book budget this spring.